By 2020 the Federal Aviation Administration projects that drone sales will grow from 2.5 million to 7 million. That is a lot of things in the air. Here at Last Minute Productions we have been flying a drone since the beginning of 2015. We’ve flown it all over the country in a variety of geographies. Launched over forests in Australia and New Zealand and documented harvests up and down California’s Central Valley. 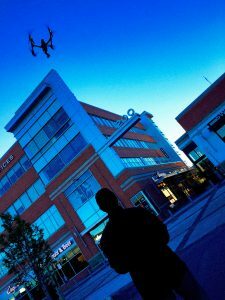 In urban areas, peering down on college campuses, major hospitals, and shopping centers drones can provide a stunning visual perspective. But even with all this experience I still approach every flight like I approach my table saw – always mindful of how powerful it is, and, if not careful, dangerous it can be. 1. Read the directions before flying. Hope I don’t have to explain this one any further. 2. Update the firmware. Drones are flying computers. Ours locks into six GPS satellites before it takes off. There is a good chance that the firmware installed prior to packaging and shipping is dated. When ours was delivered we took it to an open field (after reading the directions, of course), powered it up and….nothing. The display read, “Unable to fly. Firmware up-dated needed.” Be aware that both the Drone and the controller(s) will require firmware updates. 3. Calibrate the compass. Before each flight we calibrate the compass of the drone. For ours, we pick it up and hold it parallel to the ground and spin counter-clockwise. Then turn it so it is perpendicular to the ground and, again, spin counter-clockwise. We do each action until the display tells us things are good. If we don’t get a “clear for take-off” we never assume things will be OK. We’ve repeated the above steps multiple times until we are positive that the compass has been correctly calibrated. 4. Practice. Head to an open field when no one is around and just practice. Get a feel for the controls, and how responsive the drone is to your movements. 5. Know your surroundings. Obviously trees and power lines are bad for the life of your drone, but so are birds. Search YouTube if you don’t believe me. Is there a hospital near you? Does it have a helipad? We shot for a hospital where that was the case. Fifteen minutes prior to shooting we called Med-Flight to make sure no arrivals were on the way and to give them our contact number if the situation changed. Once our flight was complete we called them again to let them know all was clear. Most drones will not take off if you are too close to an airport – that’s good to know before you bid out a job. 6. When in trouble go up. Again, these are flying computers and sometimes things don’t go as planned. I’ve had two occasions were the drone decided to listen to me just like my 17 year old does – slow to react and ignoring some commands. You will know right away if the drone and you are “one.” If not, go high with it. The higher you go the less there is to crash into. On both those mentioned occasions I was able to gain full control of the drone after a few minutes of uncertainty. 7. Too much is too much. I’ve seen videos where every other shot was a drone shot. I remember the marketing manager beaming and say, “did you see those drone shots?” Yes indeed. I also saw all the HVAC on the roof, and too much of the parking lot. Aerial shots can add a lot to a production, but consider it a spice – too much and you ruin the meal. 8. Get to know the FAA. The Federal Aviation Administration, I believe, took a while to get involve with drones and operators – but, now they are full speed ahead. It’s good to check out their site ever six months or so – FAA Website. 9. Insurance. We were asked to have a minimum of five million in liability coverage by a client (shopping center owner). Normally all you will need is a one million. Here are some examples of drone footage we have taken – LMP Drone Footage. All companies share the challenge of identifying and hiring talented employees. 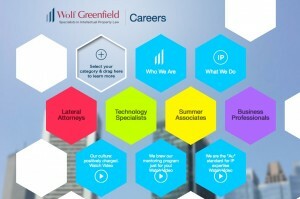 The team at Wolf Greenfield, an IP law firm with a 90 year history in Boston, updated their website and chose creative video as means to inform potential team members about their mission and culture. The series of videos hosted on the colorful Careers page provides a fresh approach when many businesses utilize photos and prose to tell their story. Sharing employees insights, interactions, and personal career goals via video provides a unique view inside WG, allowing those on the outside a very real perspective. Wolf Greenfield takes great pride in its training and mentoring programs. The fact their professionals are technical and legal specialists AND at the forefront of their fields is easy to see. Their passion and drive are difficult to miss. Messaging throughout the video series highlights employee spirit, purpose and a collegial culture which shine as bright as the page on which they are hosted. This series of videos are a great example for those employers in search of the best and brightest. I can confidently state, on behalf of the Last Minute Production’s team, we are extremely grateful for each and everyone of our clients. And not for the obvious reason of keeping us in business, but for the collaboration and partnership we share and the relationships we’ve created and fostered over the years. Those relationships are the pillars that keep LMP standing tall and have helped us grow into the thriving business we are today. We often joke that we are an island of misfits, and while that may be true, we have a strong common bond: a desire to create great content for our clients and to exceed their expectations. That ideal motivates us and I believe keeps our clients coming back. Carrying out that credo and mixing in some fun, has allowed those relationships we cherish to grow stronger and stronger over time. And we hope for many more years to come. To all of our clients and friends of Last Minute Productions, we are thankful for you and the relationships we’ve created … and look forward to working with you soon. One of the great things about my job is that it gives me perspective. 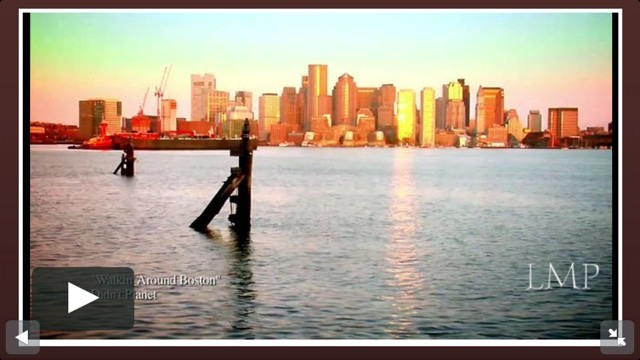 We have been working with a Boston medical center on a video featuring the writings of cancer patients. This morning, the Friday before Memorial Day weekend, I spent some time shooting cover video for one of the stories – a poem actually. 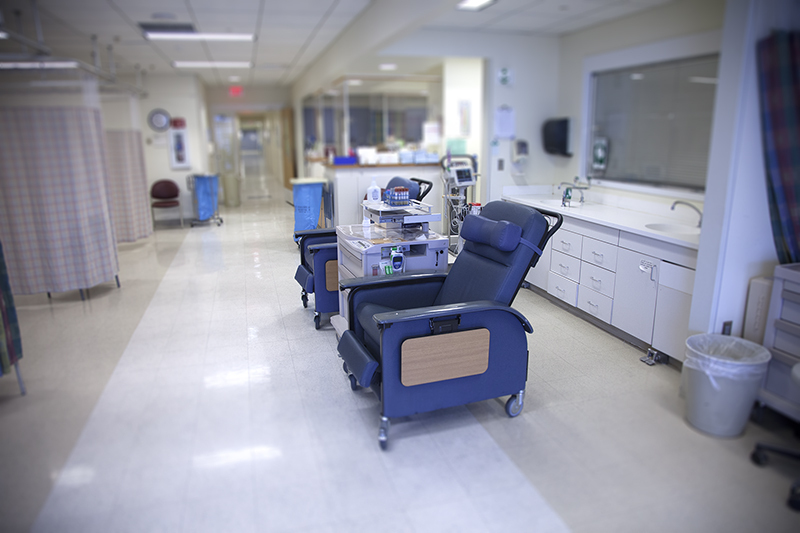 Being in an Oncology unit before patients arrive is humbling. So this weekend the forecasted rain, over-cooked hamburgers, and loud, talkative guests will be looked at as welcomed sights. I find it so gratifying in the age of instant analytics in our immediate results-based world, LMP clients really do benefit from our services long after we wrap up a project. One recent example happened this week while watching the NHL playoffs and seeing commercials that we produced over a month ago still delivering a poignant and powerful message. Video has that effect and will hold up over time. And video marketing is no different. Companies and organizations are regularly updating their website content and more and more are using video on their homepage due to the fact search engines such as Google, Bing and Yahoo prefer video on the landing page and rank pages higher for that reason. One bonus to the boost in search ranking is once your highly ranked site is visited, that person will be spending more time on your site because of that same video. An average website visit on a non-video homepage is 43 seconds while a visit to a homepage with video is almost 6 minutes, 5 minutes and 50 second to be exact! Simply put, people will stay on your site more than 8 times longer if you have video on your homepage. Those two reasons are convincing enough until you learn that those same website visitors will use your site more, visiting more pages, to the tune of 80% engagement. Those are powerful numbers to consider for people looking to add a little zest and color to their marketing. One fact we’ve known for a long time is that people really do remember what they watch and the stats bear that out too. Researchers have proven that 72 hours after people who watch a video they will retain 68% of the information versus 10% retention for those who read text or hear audio of that same material. For those of us looking to create a message that will stay with your viewer, those are very compelling numbers. If you’re creating content in a selling process, promotional or recruiting campaign or looking to create a lasting memory for an event, using a well-produced video should provide the solution. The numbers back me up. Sitting down and planning out a video project can seem challenging, especially if you know the budget is smaller than you’d like. One idea to consider is re-purposing the video. 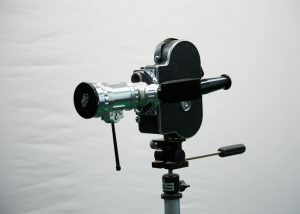 Most event videos, which are created to be played one-time before a large audience, will be posted to an organization’s web site or given out on DVDs, so they usually have a productive second life. Other content can be more challenging to place. 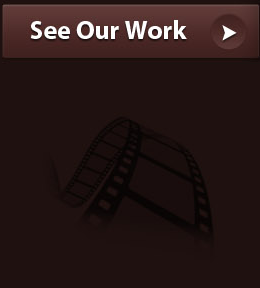 About Us videos are great for home page web content and can be played at trade shows and at job or career fairs. With the low-cost of LCD/LED monitors, I’m betting more companies will add screens in lobbies and waiting rooms, which adds another playback (and marketing) option as well. When we work with our clients during the planning phase we often remind them to think about the future … we suggest they think about what extra video content that can be recorded while our crew is on site. We have our gear, we’re going to be on location, what b-roll or cover video can we capture during our visit? 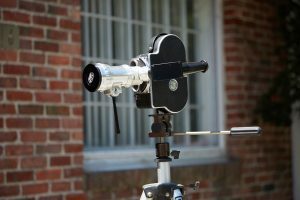 Shooting additional outside or exterior footage during the visually stimulating summer months really makes sense. Why not take full advantage of the green grass, leafy trees and the flowers when they’re in full bloom. That video can be used when putting together a project during the not so picturesque months. 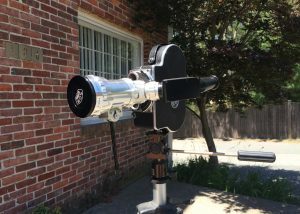 What may take a little extra time to shoot in the summer (possibly using our jib) can be a big time and cost savings in the future. That extra b-roll helps build out a healthy library of content every editor dreams of having. And for the producers creating educational content, don’t forget about the interviews. If schedules allow and you have a sense of the content and script direction, spend an extra 30-45 minutes to set-up and record an interview with your expert. The timing may not be appropriate, but if it is, the time and budget savings could make it worthwhile and you’ll have the benefit of some extra content. So the next time you sit down to think about a video project be sure to think about the future … consider your next project and let us help you save time and money! I am not a public speaker but enjoy speaking to small groups and have found it’s much easier to speak to a larger group when I have a crutch, like a PowerPoint presentation to follow along. But relying on the crutch can have its pitfalls. The same is true for using a teleprompter. A teleprompter is a great tool for making presentations to camera, but as the topic expert, you need to acts like it and not just read like it. 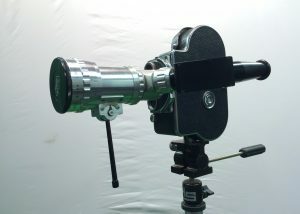 Here are 5 tips to help improve your performance with a teleprompter. Most importantly, write your script to be spoken as you would normally speak and NOT as you would write. Keep in mind that your audience will hear your words and not see them, so it’s important to write in a conversational way. And use real world examples you feel your audience will identify with … it will make you more comfortable too. By now we’ll assume you have a solid handle on the content and flow of your presentation, its time to focus on passion! It may feel odd but most people need to add a like extra energy to their delivery to camera to really show the passion and warmth your audience will respond to. If its appropriate, show a genuine smile as you start and end of your recording. And try to keep the energy high throughout, which can be a challenge. Use bold, CAPITALIZED or underlined text in the script to help emphasize key words and remind you to keep the energy up! What sets you apart from others is your personality so let it shine through during the presentation. You’ve written a conversational script, you’re feeling comfortable with the content and are ready to deliver it with passion and warmth. Act as you would when talking with a small group of friends, be animated, move your hands and feel comfortable enough to show facial expressions. And always remember to look your audience in the eyes, which in this case is the lens on the other side of the teleprompter screen … all of this will make your message more believable and you’ll connect with your audience. 5. You’re the expert, relax and enjoy the experience! If you make presentations regularly then using a teleprompter should be a very useful tool, enjoy it! Allow your personality and knowledge of the content to shine through. The words on the screen will guide you through your message – have fun with it. 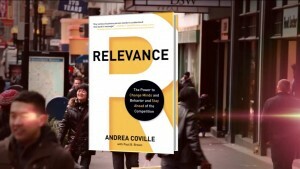 You’re audience will feed off your energy and find you more believable. If you are not used to addressing an audience, live or recorded, remember you are making this presentation because you are the expert. And this presentation will prove it! Take a relaxing deep breath just before you begin, focus your eyes on the teleprompter screen and enjoy the ride. When working with a new client, who was in stealth start-up mode, we were posed with the challenge of creating an image piece without using video or showing their product. As a SasS business their product is proprietary software … ok, the mission is getting clearer. Why is this so challenging? Because their business revolves around data, big, big, BIG data. Data that sits on servers and was being unused, mostly due to the fact that the amount of data was just too enormous. This newly developed software has been designed to devour massive amounts of data and crunch it! And after the data has been culled, sifted and sorted it is delivered in an understandable form that will make sense of how millions and millions of people are using the interwebs everyday AND what that means for certain big businesses. Our real challenge was making a visual concept about a SaaS business that didn’t have a trendy Boston office, a slick logo or snappy tag line. How do you visualize software that doesn’t sit neatly packaged on store shelves but instead sits up in the cloud and devours mass quantities of internet data. The unseen software is basically manipulating ones and zeros … and … ah … that’s where it began. Merging and whipping numbers, sounds, keywords to animated graphics that help tell the story of why big data IS important and why Quant5 was founded. Without an interview or a single frame of b-roll video the story of a new company was told … and unveiled as they emerged from stealth mode.